Our installation for London Design Festival is now up! We are launching a new thermos flask called, 'Cocoon' by designer Torsten Neeland. 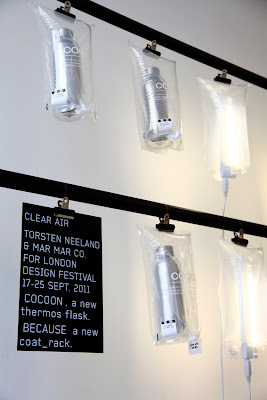 We have designed the Air Box packaging that, not only protects but also, hopefully, compliments the product. Our opening hours are 12.00-18.00, 20-25 September.